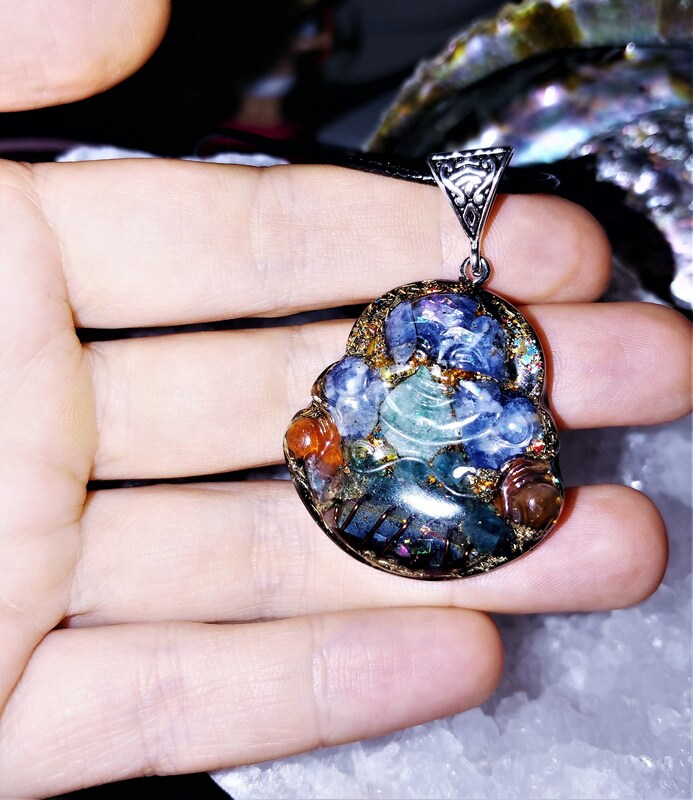 This Orgone pendant will help in balancing and harmonizing energies, while connecting mind, body and spirit as one, activating your Chi channels and clearing all the negative energy in your body and around you. It will bring love, awareness and luck into your life. It comes with a FREE ~16" black cord lobster-clasp necklace. If you don't like the cord necklace it can be easily removed and changed for one of your own. It contains Sodalite, Green Aventurine, Carnelian, Blue Apetite, Shungite powder, Sage, Rose petals, Rainbow Aura quartz crystal, copper coils, mica, 24 k gold leaf, metal shavings, Black Sun Iron Oxide. The pendant is sanded, shaped and polished by hand, giving the surface a glossy, and smooth finish. Dimensions: This Orgone Pendant is apprx. 1.25" x 0.5".